In comparison to Facebook Analytics, Google Analytics can provide a greater breadth of details and information about how your Facebook ads are doing. It will unlock insights and help you learn how to use Facebook ads more efficiently. You must have already setup Google Analytics for your website. Campaign Source: Since we are talking about Facebook ads, Facebook is what you would put here. You can also use this tool to see how a newsletter is doing or a Youtube video. Campaign Name: This is the name of your ad campaign that you plan to create in Facebook. Campaign Term: If you have purchased key words with Google Adwords, you can add them here. If you want a shorter url, we recommend to not click the “Convert URL to Short Link” button. Google is doing away with their short link service offered. Instead, use bitly.com. Paste the long URL in Bitly to get a shortened link. Copy the shorter link. Add the long link from Google (or the shortened link from Bitly). Set up the remaining part of your Facebook ad. The Facebook ad results will automatically show up here. 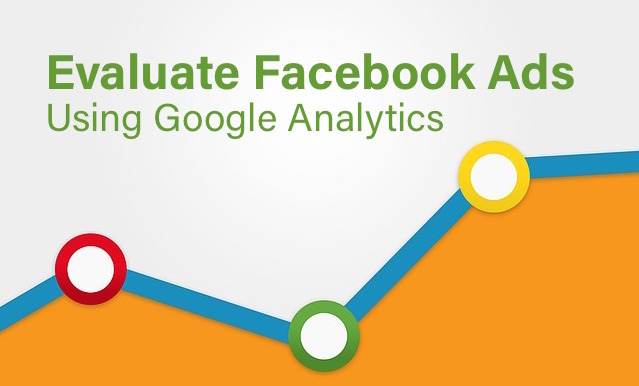 0 responses on "Evaluate Facebook Ads Using Google Analytics"